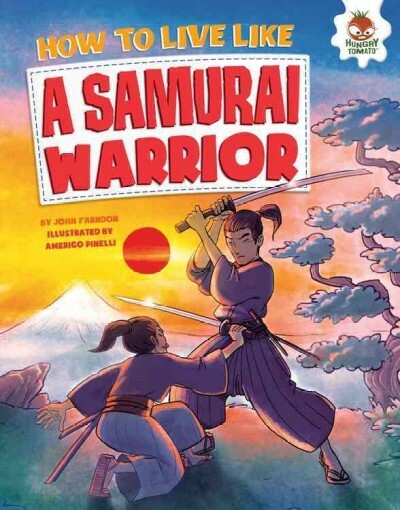 Annotation: Describes the skills and training needed to become a samurai, from combat training to lessons in reading, writing, and poetry, and provides information on living in a samurai castle. These volumes are divided into short chapters, each of which discusses one particular aspect of life in the historical occupation, none in great detail. The presentation is colorful, with each page fully illustrated in a cartoony style; the easy-to-read texts are each narrated by a wise-guy youth from the era, which adds levity but grows rather tiresome. Related facts are appended. Glos., ind. [Review covers the following How to Live Like... titles: How to Live like a Samurai Warrior, How to Live like an Aztec Priest, and How to Live like an Egyptian Mummy Maker.] Copyright 2017 Horn Book Guide Reviews.